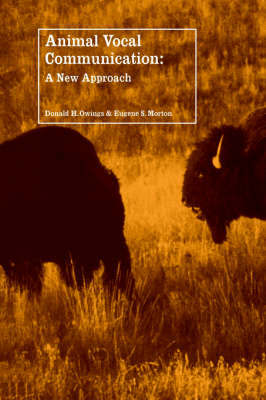 This book will be a landmark text for all those interested in animal communication. Animal Vocal Communication explicitly avoids human-centred concepts and approaches and links communication to fundamental biological processes instead. It offers a conceptual framework - assessment/management - that allows us to integrate detailed studies of communication with an understanding of evolutionary perspectives. Self-interested assessment is placed on par with the signal production (management) side of communication, and communication is viewed as reflecting regulatory processes. Signals are used to manage the behaviour of others by exploiting their active assessment. The authors contend that it is this interplay between management and assessment that results in the functioning and evolution of animal communication; it is what communicative behaviour accomplishes that is important, not what information is conveyed.